Falls are an ominous yet a very real part of life for people over 65 and many falls can be prevented once the causes are determined. Research has shown that the risk of falling increases with age and is greater for women than for men, two-thirds of those who experience a fall will fall again within six months and failure to exercise regularly results in poor muscle tone, decreased strength, and loss of bone mass and flexibility. The evidence for physical activity as a falls prevention strategy is strong. Chiropractors have an important role in the assessment and delivery of interventions targeting the balance, strength and mobility of older people. Most falls are preventable, injury from falls can be minimised, and ageing does not have to mean a loss of independence. Maintaining muscle strength, balance, endurance, and flexibility is the best way to keep the elderly on their feet. Exercise programs provide a safe and supported environment for progressive resistance strengthening, improved balance and functional control to give the elderly confidence to keep moving through life safely. Each patient at Synergy Healthcare will initially be individually assessed by the chiropractor and then re-assessed regularly to document improvement. Chiropractors are experienced in specifically devising a personalized exercise program. A chiropractor can also advise about whether a walking aid, such as a stick or frame, would help increase steadiness and confidence. But please note, it’s important that walking aids are properly adjusted and maintained. Chiropractic also plays a vital role in educating people about the falls risks, getting up off the floor, modifying the environment and improving their own physical well-being. Exercise has the potential to improve performance in balance, reaction time, awareness to know if the individual is starting to fall, and strength to stay upright and keep them on their feet. The activity should make you breathe a bit faster and your heart pump a bit harder, but you should still be able to talk while doing the activity. Talk to your chiropractor or physiotherapist about which balance and strengthening exercises or activities will best suit you, and how to manage any pain you might have. Your chiropractor or physiotherapist can also advise you about whether a walking aid, such as a stick or frame, would help you. Using a walking aid can increase your steadiness and confidence to walk more. It is important that walking aids are properly adjusted for you, and that they are properly maintained (eg replace worn stoppers). 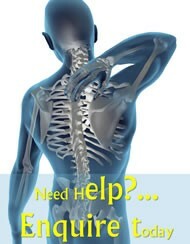 Talk to your doctor/ chiro or physio if your health problems or pain make you worried about attempting more activity. The Department of Health and Ageing have a downloadable booklet with everything you need to know about Falls Prevention available assessment and delivery of interventions targeting the balance, strength and mobility of older people here.